numerous open houses and appointments, to the effective advertising campaign and your consistent personal follow-up, we felt informed, involved and aware of the status of the market and the progress/action on our unique property in that market. Thank you Gayle, for your hard work, dedication and expert advice. We look forward to working with you again. We appreciate Gayle's efforts to make this transition virtually "stress free" and should we require a Realtor in the future, we will definitely call upon Gayle's services. Thank you so much for the absolutely magnificent job you have done for us Gayle. It seems as though we achieved great results in both the challenging arenas of buy and sell. You have a winning approach Gayle- Combining an excellent knowledge base with outstanding business practices, efficiency with a relaxed patience and a sense of humour, a conscientious and positive energy in your willingness to go the extra mile to seek out the most gratifying outcome possible. 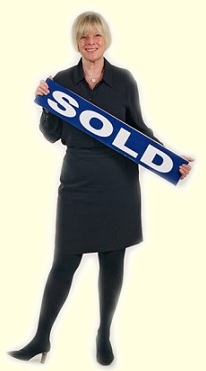 Gayle recently sold our house for us and acted as our agent in the purchase of another home. She was very patient and understanding. She took the time to acquire a good understanding of what our needs were and diligently watched the market for us until the right home was available and the time was right to list our home. She has an excellent knowledge of the market, kept us well informed and acted in our best interest going out of her way to make the deals work. We were very pleased with the service we received. I am indeed fortunate that Gayle Eddie represented us in the sale of this property. At all times I found Gayle to be reserved and efficient in a highly professional manner. There was never a question that, throughout, she was acting in my best interest and her good counsel led to a timely and satisfactory conclusion with respect to the ultimate sale.